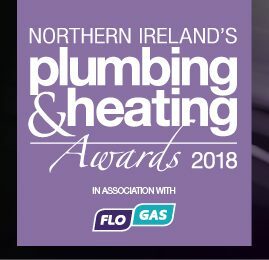 The search is on for the province’s top plumbing and heating installers, contractors, merchants, people, projects and products with the return of Northern Ireland’s Plumbing & Heating Awards 2018. The biennial awards night has proved to be an amazing success since it was originally launched in 2012 and this year we are again set to honour the best of the best in our industry. There are a number of award categories this year to ensure that the full spectrum of the diverse plumbing and heating industry is recognised. After an official shortlist announcement, all the winners will be unveiled at a black tie Gala Awards night on Friday April 13 at Titanic Belfast. See your company name in lights! The Northern Ireland Plumbing & Heating Awards are the most prestigious biennial awards night in the industry calendar! By becoming a sponsor of a category or through other branding opportunities you have the chance to display your branding in front of the elite of the Plumbing and Heating industry in Northern Ireland. If you are interested to learn how you can promote your branding to this diverse industry at the awards please contact Jacqui. This award seeks to acknowledge and celebrate the outstanding contribution of a leading apprentice to their workplace. This award will recognise a sales representative who provides outstanding customer service, superior product knowledge and support to meet customers’ needs. Nominations are welcomed for this category. This category will look at how well a company has marketed a new service, product or itself across a number of platforms, including digital media in order to drive engagement meeting set objectives to deliver measurable results. Open to manufacturers, this category will look at the energy efficient credentials of a commercial product, delivering performance and reliability utilising modern technology used within medium and large scale mechanical projects. It must be launched within the last two years. Open to manufacturers, this category looks at the development, innovation, performance and energy efficiency of a product launched in the last two years, showing a genuine or novel approach of either new or existing technology to new markets. This category for manufacturers looks at the development, innovation and visibility in the marketplace of a bathroom product launched in the last two years. Nominations from distributors and merchants are also welcomed for this category. Open to the entire project team or one member, this category will look at how the use of green technology has enhanced the energy efficiency and sustainability of a project successfully completed in the last two years. Entries are welcomed from manufacturers, merchants and distributors but should be in association with the contractor. Open to contractors, entries will be judged on a presentation of how they worked positively on a new build or retrofit domestic plumbing and heating project to deliver high standards and meet strict deadlines. The project must have been successfully completed in the last two years. This category is open to M&E consultants and/or contractors and will include awards for small and large projects. Entries will be judged on a presentation of how they worked positively throughout a mechanical project that has been successfully completed in the last two years in the commercial, industrial or public sectors to deliver high standards and meet strict deadlines. This category is open to plumbing and heating installers who are Gas Safe registered and/or preferably OFTEC registered. 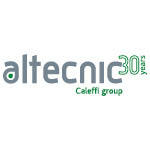 It will be judged on a presentation of successful residential installations alongside accompanying customer testimonials. Including both a medium and large category, this section is open to all plumbing and heating contractors who are Gas Safe and/or OFTEC registered. Entries will be judged on the presentation of how you have provided a solution to a recent challenging project(s) within the domestic and/or commercial sector alongside accompanying customer testimonials. This category is open to plumbers’ merchants of all sizes and will look at areas such as customer service, sales performance and staff development and training. Customers will have the opportunity to nominate their preferred plumbers’ merchant at the Plumbing & Heating Magazine website, www.plumbingmag.com. Merchants are also invited to nominate themselves. The successful nominees will then be judged through a combination of their entry form and the online poll. This category is aimed at recognising an individual within the plumbing and heating industry who makes a substantive contribution to their company, local community or charity. All the previous winners from Northern Ireland’s Plumbing & Heating Awards 2016. The Northern Ireland Plumbing & Heating Awards are the most prestigious biennial awards night in the industry calendar! By becoming a sponsor of an award category or through other branding opportunities you have the chance to display your branding in front of key-decision makers, industry front-runners and the elite of the Plumbing and Heating industry in Northern Ireland. As an award sponsor, you can unequivocally demonstrate your support for excellence and high standards within the plumbing and heating industry and take the opportunity to network with respected industry experts, leaders and other key figures at the Gala Awards’ Evening at Titanic Belfast on April 13, 2018.